again just a quick post as i am running out the door. 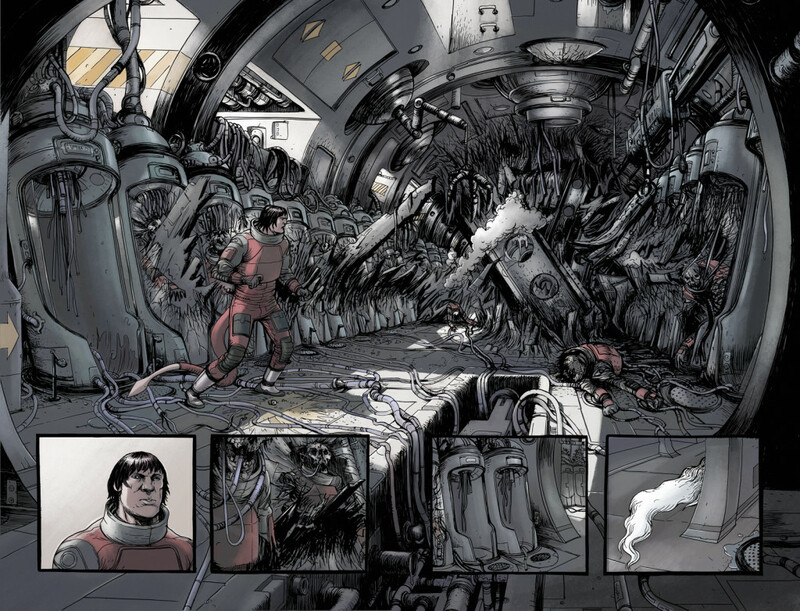 the above image is from my issue of prophet due on the stands any day now i believe. it was colored by the masterful joseph bergin III. i am going to be at the chicago show c2e2 this weekend hanging out at rick remender’s table selling some original art and maybe some fear agent prints. come on by and say hi if you are into it. be seeing you.